This is our newest press! It is a two color press that perfects as well. The maximum sheet size is 20 1/2" x 29 1/8". 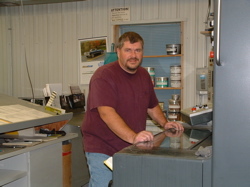 This press is great for printing books, annual reports, posters and pocket folders.